Initially recorded as a very rare First World War circular concrete pillbox built into a sloping bank on the southern edge of the saltmarsh. Excavation and local sources suggest it dates to the Second World War. In wooded slope overlooking marshes. Pill box, circular, concrete block. E. Rose 6 September 1987. 24 April 1994. No change. 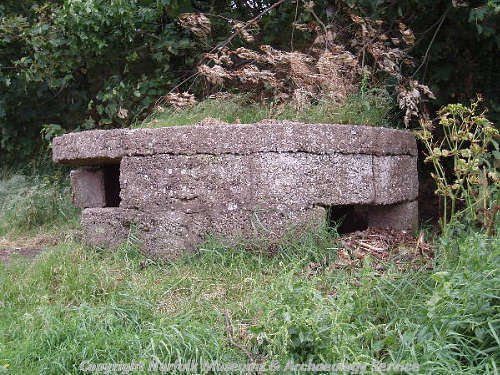 Very rare World War I pillbox (type WIX) situated on edge of plantation on south side of path, 250m east of car park. Similar to type WIA, but made of coarse, reinforced concrete without steel doors or shutters. Possibly early version later refined. Still extant but looking the worse for wear; filled with earth. May - November 2004. Norfolk Rapid Coastal Survey. Context 996. 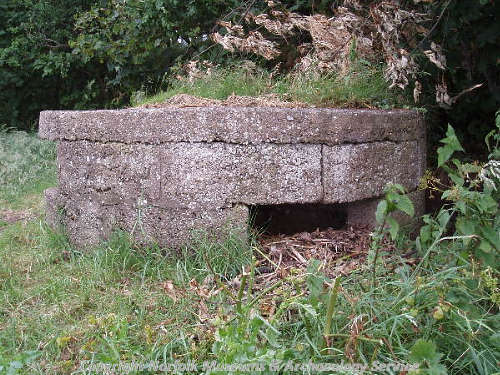 A World War One circular concrete pillbox was recorded at TF 96847 43945. It was built into a sloping bank on the southern edge of the saltmarsh. J. Allen (NLA), 19 April 2005. June 2007. Still present, interior cleared out. The missing concrete blocks are in the creek to the north, and there are plans to clean out the pillbox and for these to be reinstated. The pill box is built on a shelf below a small cliff which is soft and eroding. However it is possible to see some earthworks on the lower shelf running from the box to the north west. These may be an associated trench system or something from WW2. It seems very likely that the pillbox was used during WW2, for training if nothing else, but this is not known for sure. It is also interesting that the pillbox is on a small promontory giving good views both ways along the coast (now the coastal path) not out to sea. D. Gurney (HES), 1 September 2014. 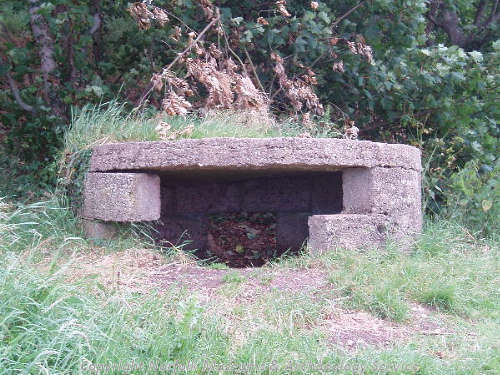 It is well known in the village that this is a pillbox built for the light artillery training camp during WW2. A one-off built of very light construction. There is absolutely no evidence to suggest this was built in WW1 (S3). D. Gurney (HES), 6 February 2014. --- Photograph: Kent, P.. 1994. KHH 5A - 6A. <S3> Website: 2015. Stiffkey Pillbox Update from Stiffkey Local History Group.